Coming January 19, 2019. Add bacon to anything and it’s better! And that certainly includes a running race! 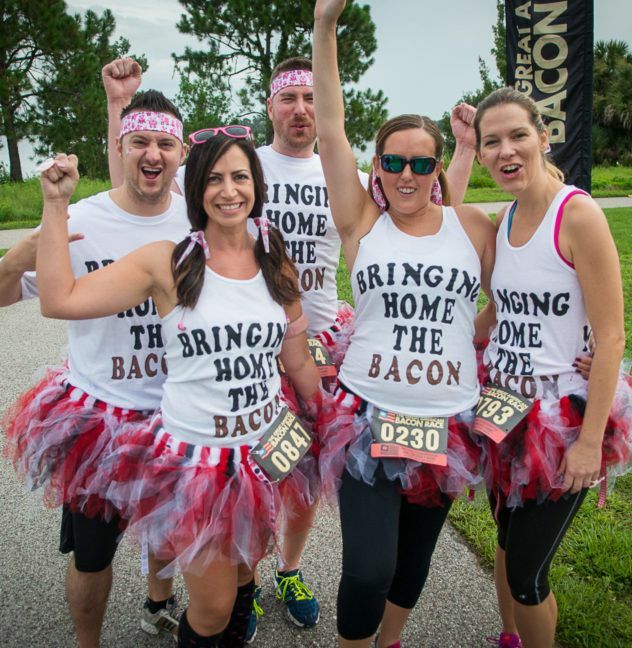 The Great American Bacon Race is the ultimate bacon-lovers event with bacon stations through the race, a Custom Bacon Race medal, a Great American Bacon Race t-shirt, and then of course, unlimited bacon at the Bacon Bash After Party. This is a chip-timed 5K race through beautiful Bill Frederick Park in Orlando, Florida. Post race, there will be bacon themed food trucks, music, awards for top finishers, and lots of fun. Bacon, bacon, bacon at The Great American Bacon Race!